This month, the Chinese People’s Political Consultative Conference (“CPPCC”) and China’s National People Congress (“NPC”) started their annual sessions in Beijing. The CPPCC serves as the Chinese political consulting body which provides its input and advice to China’stop official legislative body, the National People’s Congress. During this session more than 5,000 national lawmakers and political advisors gathered for the yearly 10-day event in an effort to discuss policies and come up with proposals for steering the world’s second-largest economy forward. A review of the agenda of the NPC and the CPPCC provides a great opportunity for business entrepreneurs to zone in on the issues which concern the Chinese nation – and can be a great tool to analyze China’s confusing business environment. Commentators have recently examined China’s ability to continue growing at its current speed, given its heavy reliance on international economies to fuel its drive. In response to these observations, Premier Li has suggested that a force for change will only come about by a further deepening of reform within the country. In light of this, the government has recommended the same growth target as last year, set at 7.5 percent, slightly lower than the 7.7 percent actual economic growth in 2013. The current model based on exports and investments had led China in its growth over the past 30 years, but the time has come for a shift in focus. In line with suggested reforms heard last November at the 18th Communist Party of China Central Committee third plenary session, Premier Li has pledged to open state-dominated industries including banking, oil, and telecommunications, to private investment, as well as making banks more market-oriented to encourage sustainable growth. Financial institutions will be allowed more control over lending and interest rates, as well as promoting internet finance. The new reforms will be modelled around looking at growing internally – a focus on domestic demand and promoting consumer spending. This will include an ease in exchange rate controls, meaning businesses will have easier access to credit. In a bid to increase consumer consumption, Premier Li plans to raise incomes and encourage development in the education, tourism, and elderly care industries. A review of the proposal submitted during the CPPCC illustrates livelihood and education is of key concern which attracted 1,484 proposals. The proposals called for measures ranging from greater vocational education in minority areas, to support for the development of private colleges and universities. The growing concern in a time of industrial upgrading has led Premier Li to “declare war” on pollution. Premier Li pledged to fight pollution by focusing on the ‘mega-cities’ including Shanghai and Beijing. However, commentators have expressed their concerns that the problem is much more geographically widespread, and needs to be tackled using a much broader approach. 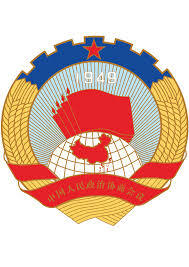 During the meeting of the CPPCC, its delegates submitted 5,875 proposals. Of those, 596 proposals, more than one-tenth of the total, listed pollution as a top concern. Besides calling for greater efforts in the fight against the contamination of air, soil and underground water, delegates urged authorities to beef up environmental protection in rural areas. A recent poll in Shanghai showed air pollution to be the third largest concern among Chinese people today. According to a joint study of Peking University’s School of Public Health and Greenpeace East Asia in 2012, more than 8,500 premature deaths resulted from PM 2.5 air pollution in Beijing, Shanghai, Xi’an, and Guangdong. The Ministry of Environmental Protection’s Academy of Environmental Planning calculated that the losses due to pollution in 2010 (excluding the cost of health care), reached to 1.1 trillion RMB which is equivalent to 3.5 of China’s GDP. The government’s three-year action plan to reduce pollution will begin with the removal of high-emission vehicles from the road, and the introduction of diesel for those vehicles that meet the standards. The Xinhua News Agency stated that Beijing’s city government will shut down 300 factories contributing to pollution this year, and it’s been reported the plans also include the shutting down of 50,000 small coal-fired furnaces and the implementation of new, more energy-efficient, technologies in coal-burning power plants. How will the government put these plans into effect? The government announced that 10 billion RMB (US$1.6 billion) has been set aside to reward regions that make progress in air pollution reduction, employing a reward rather than a subsidy strategy. Full disclosure of those projects to be stopped by the government is expected to be released in April this year. Premier Li has scheduled bold plans to redevelop China from within, proposing a radical shift from the approach we have seen China implement for the past three decades. The success of the current government’s plans is yet to be examined properly, but certainly shows a step in the right direction for a country that is aware of its economic limits, and not afraid to implement innovative plans to maintain continued Chinese growth. Amit Ben-Yehoshua serves as the Vice Chair of the China Committee of the American Bar Association and the Chief Editor of the Committee’s publication. Amit is licensed to practice law in California and Israel and has a Master Degree in Chinese law from Tsinghua University of Beijing. Amit serves as a Senior Counsel at Da Cheng Law Offices, Asia’s largest law firm. Amit can be reached at amit.ben-yehoshua@dachenglaw.com or +86-137-6136-0176. Rosie Given is a UK law graduate and writer for Mr. Amit Ben-Yehoshua’s China Law Flash blog. The China’s Greentech Report 2013, China at a Crossroads, The China Greentech Initiative, p.10. ← In reply to Jianjian Gong’s Question: Do Israeli High-Tech Start-Ups Merely Seek to Make “Quick Money”?